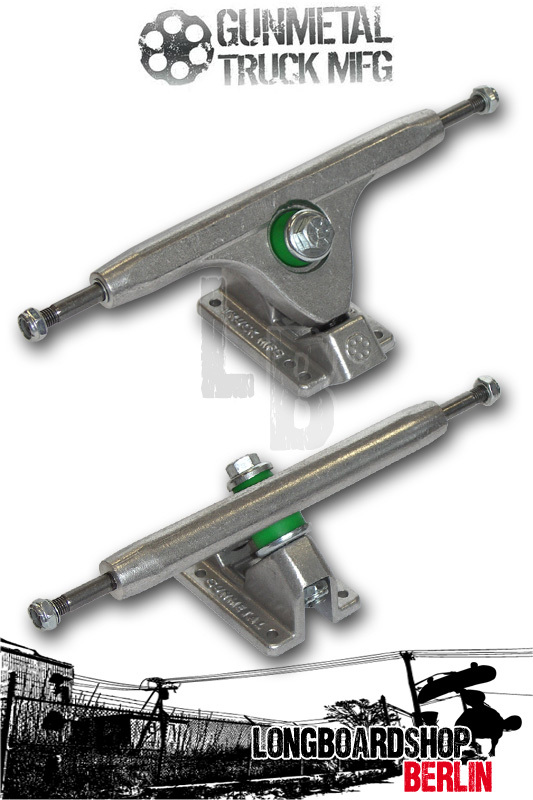 Skaters understand how big a difference an inch can make, which is why we added one to the length of the 10.0" Magnum Longboard Truck hanger. The 10-inch is wider than its smaller counterpart, and provides ample stability while still maintaining plenty of carve power for turns. The 10-inch also comes with 93a neon green Venom Bushings, reversible hanger and an engraved Gunmetal logo on the back of the hanger.